To celebrate the Easter holiday with you, we compiled a list of our TOP 10 ProCamera Easter Eggs. 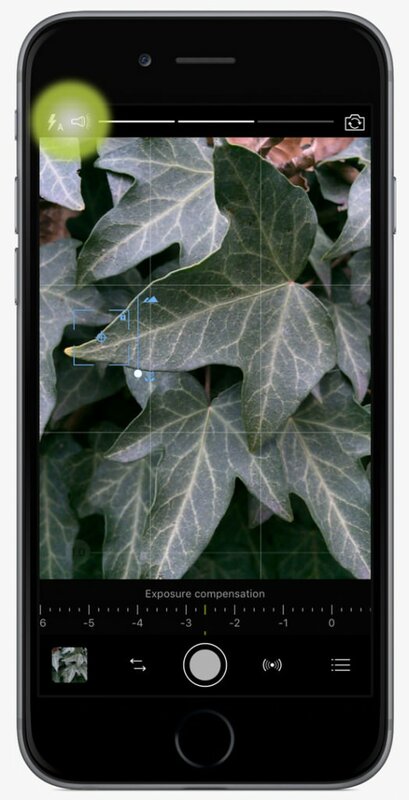 In line with the Easter theme, it includes ProCamera features that are already implemented in the app, but are just too handy to go unnoticed. Did you know and use all of those features already? Did you know that ProCamera not only provides a flash, but also a torch feature? Tapping the flash icon in the top left corner of the screen toggles between Auto/On/Off settings for the built-in flash. To activate a continuous light (torch feature), you simply need to long tap the flash icon. 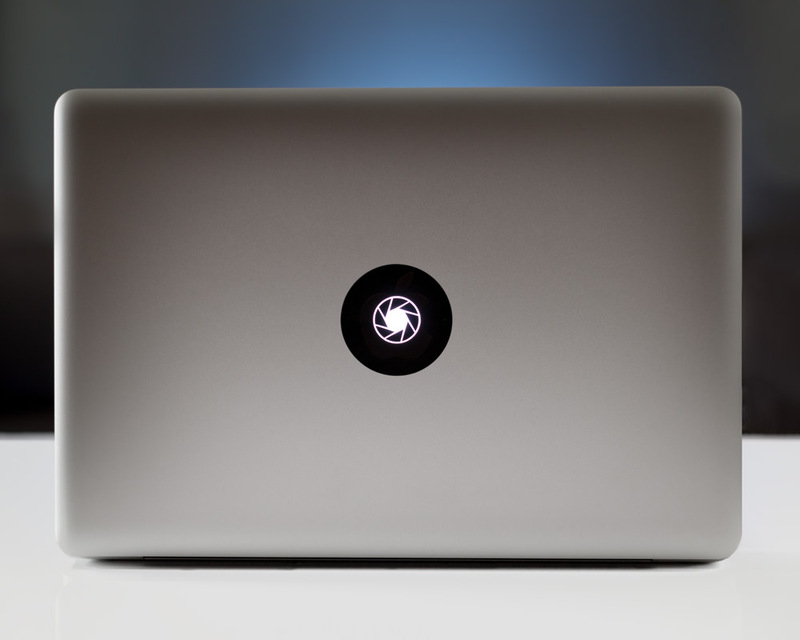 A torch symbol will appear right next to the flash icon – a single tap on the torch deactivates the torch. In addition, you can set the intensity of the torch light by tapping on the slider right next to the torch icon. Long tap the torch icon to switch between torch intensity slider and Exposure/ISO display. The torch feature is available in Photo and LowLight camera mode. 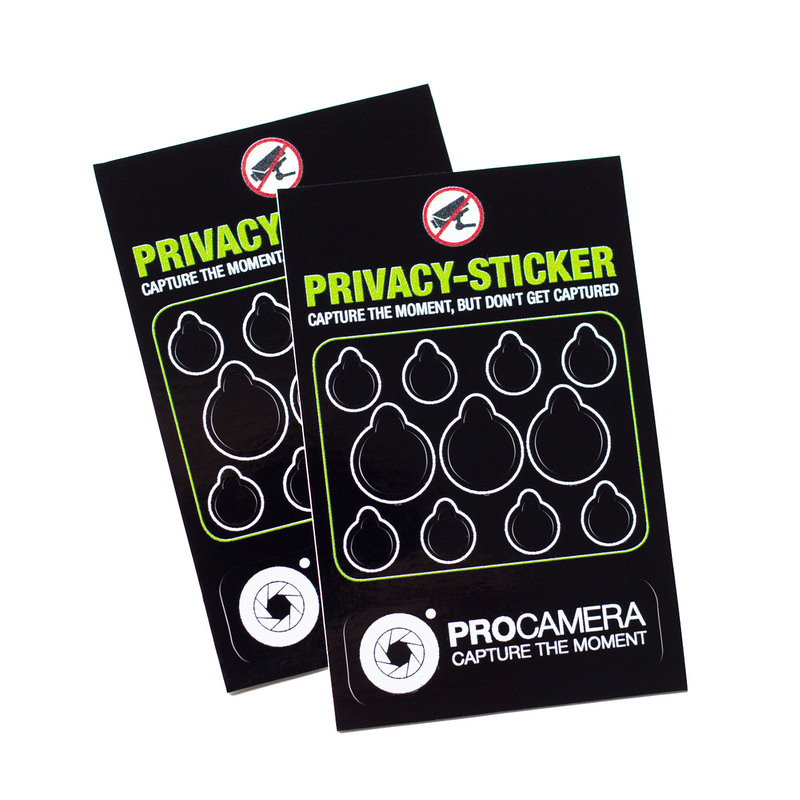 ProCamera’s intervalometer feature, which we call the ProTimer, is an extension of the already known Self-Timer. 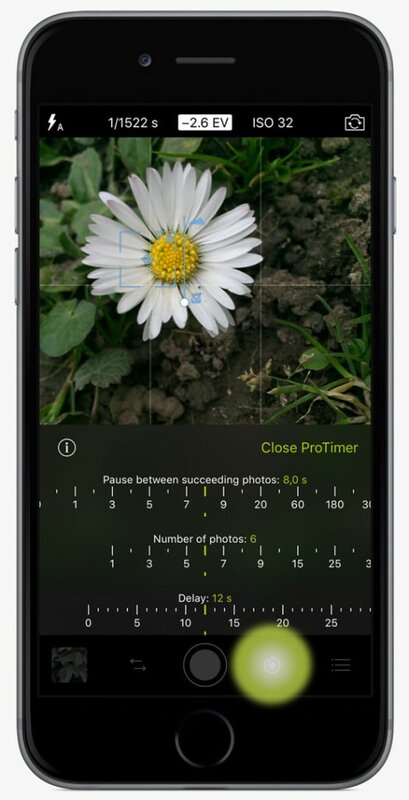 The ProTimer allows you to take a series of photos based on your custom parameters: Delay before the first photo is taken, total number of photos, and the pause between succeeding photos. To open the intervalometer, you first have to make sure that you have set the Self-Timer as your Second Shutter. The Second Shutter is the shutter button right next to the Main Shutter Button, which can either be assigned to the Anti-Shake feature or the Self-Timer. You assign the Second Shutter in the control panel (three line icon bottom right). Tap and hold the Second Shutter (Self-Timer icon) and then tap on “Open ProTimer” to get access to the intervalometer settings. By tapping on the Second Shutter, you start your photo series. The ProTimer icon generally tells you the number of photos set. After starting the photo series, you can stop the capture process at any time by tapping the Second Shutter icon – that comes in really handy when capturing an unpredictable scene, where you can’t be sure how long it will take. In such a case, it’s best to dial in a relatively high number of total photos and then stop the capture process once the scene is over. The ProTimer is currently available in Photo and LowLight camera mode. As you might have noticed, a lot of additional features are accessible via long tap gesture. It’s a great way of giving users the ability to extend the functional scope, without cluttering the screen with additional icons and options. In the past, we oftentimes called this gesture “long press”, which should not be confused with the relatively new “3D Touch”. A long tap depends on the duration of the tap (tap & hold) – whereas a 3D Touch depends on the physical pressure you apply to the screen (currently only available on the iPhone 6S and 6S Plus). A lot of the available options in the control panel (three line icon bottom right) can be viewed via long tap – such as the Aspect Ratio setting. Tap and hold the Aspect Ratio icon, to see all available capture formats at a glance. Using the Export Menu, you can share mobile-friendly versions of your files: Choose file size (Original, Large, Medium, Small), convert TIFF to JPEG, and/or remove existing geotags. You open the Export Menu via long tap on the sharing icon (bottom left of the photo preview) or by opening the sharing menu and then tapping on the export summary box above the displayed apps and services. Your export preferences (size, remove geotag, etc.) are saved for your convenience. Each time a new photo/video is shared, the “Next” button of the export settings must be pushed in order to apply your preferences. This prevents you from accidentally exporting your files with the undesired settings. This next feature has been around for ages, but it’s probably something not many users make use of. It’s quick and super handy, so it had to be part of this list. A swipe from the left to the right of the Capture Screen will take you straight to your photos. A swipe from the right to the left of the Capture Screen will take you straight to the Settings. Also, you can go back to the Capture Screen by swiping in the opposite direction. The secret is to start swiping right at the edge of the screen. Did you realize that the preview of the front facing camera is typically mirrored, which means it doesn’t look the same as the saved photo? This is to provide an intuitive way of composing your shot. The preview of the front facing camera is mirrored on smartphones – whereas the actual photo saved in your camera roll is not mirrored. In case you want to have an unmirrored photo preview in the viewfinder of the Selfie camera mode, to see yourself as others see you, simply tap on the top right Front/Back Camera switch. It makes it a little harder to frame your shot, but you see what your photo will look like once it’s saved to the gallery. Mirroring your viewfinder preview also works in other modes, not just the Selfie Cam, which solely utilizes the front facing camera. In the other camera modes, you mirror your preview by long tapping the Front/Rear Camera Switch. Mirroring your viewfinder also comes in handy when using special gadgets and lenses that modify viewing direction. Via Front/Rear Camera Switch you only modify the preview in the viewfinder. 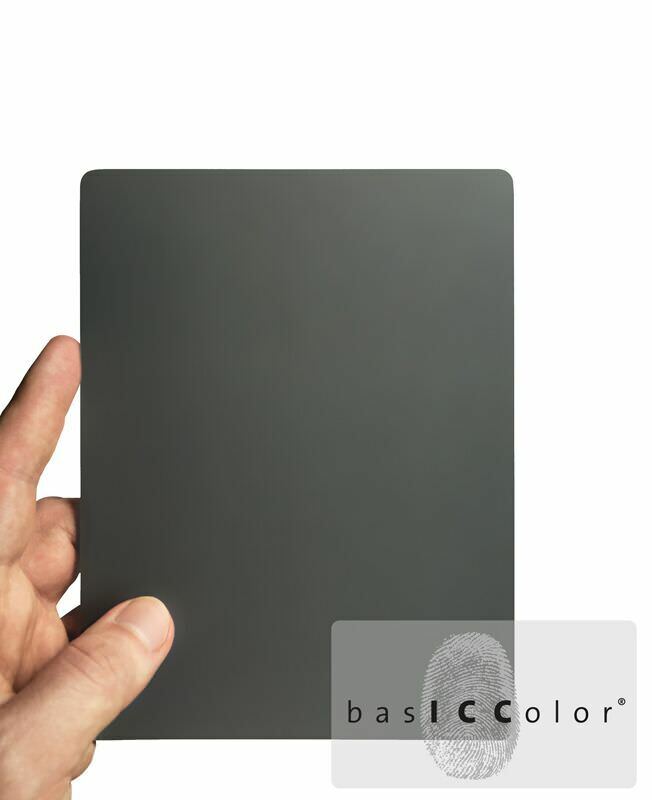 In order to alter a saved photo, you may use the mirror function in the photo editing studio of ProCamera. Basically, it’s just a little button at the top right of the Settings in ProCamera, but it delivers access to a lot of useful options. You open the Settings via Control Panel (three lines icon bottom right) – or as mentioned before by swiping from the right edge to the left of the viewfinder. By tapping the “More” button, you will see that the settings expand and more options being displayed. Choose file format and jpeg compression, define video focus mode, edit Copyright tag in your photos’ metadata, … just to name a few of those features. The order of the camera modes in the Camera Mode Selector of ProCamera can be adjusted. You may even hide camera modes you never use. That way you can customize the app so that it best suits your needs. 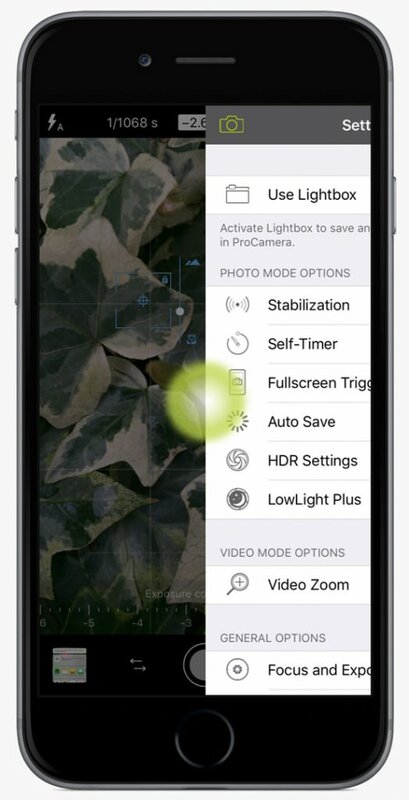 To edit the list of camera modes, open the Camera Mode Selector (two arrow icon left of the shutter button) and swipe all the way to the right. A grey button with 3 dots leads you to the configuration panel. Or else, pull the Camera Mode Selector all the way to the right (drag left), until the arrow icon at the end turns upwards and then let go (pull to open gesture). Changes you make here, regarding the order or visibility of camera modes, are passed on to the ProCamera Today Widget. Over the last couple of updates, our ProCamera widget in the Notification Center has continuously been growing in form and function. The Notification Center is your iPhone’s customizable repository for system and app notifications. 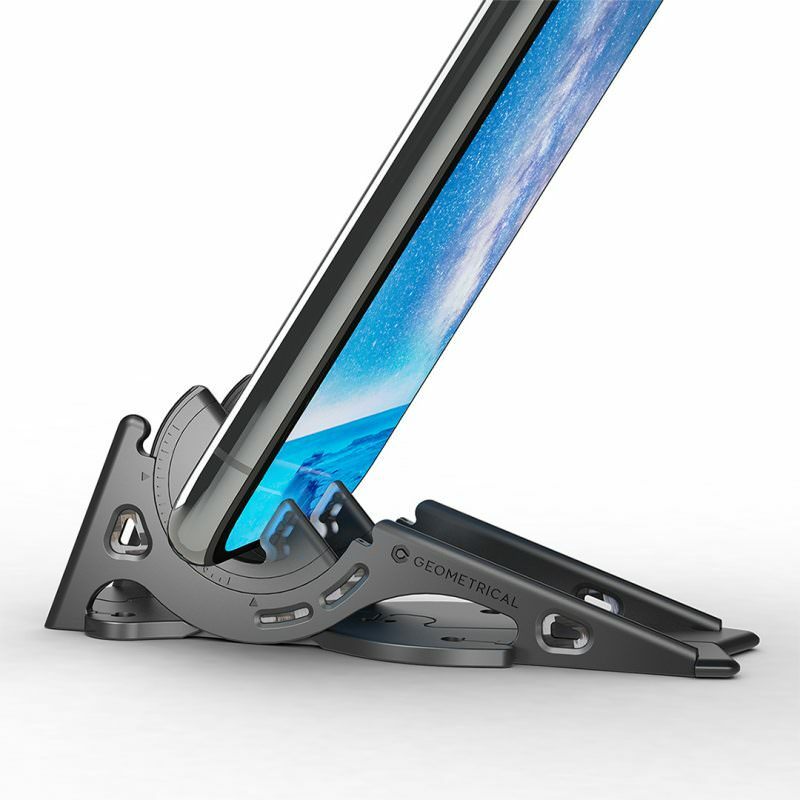 To open it, simply place your finger above the top of your screen and pull down — even when your lock screen is displayed. The today view can be customized via the “Edit” button at the bottom (only visible when your iPhone is unlocked). By tapping the little green + icon in front of the app name, you add the associated widget to your Today Screen. 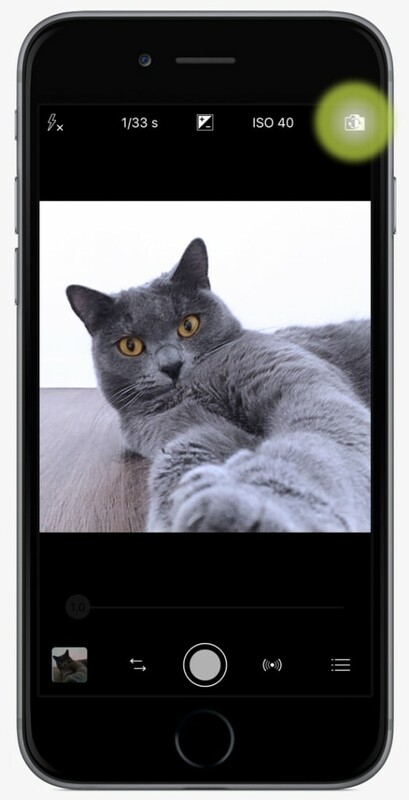 The widget enables you to rapidly launch ProCamera in a specific camera mode. So, if you plan to record a video for example, directly launch the app in Video mode. 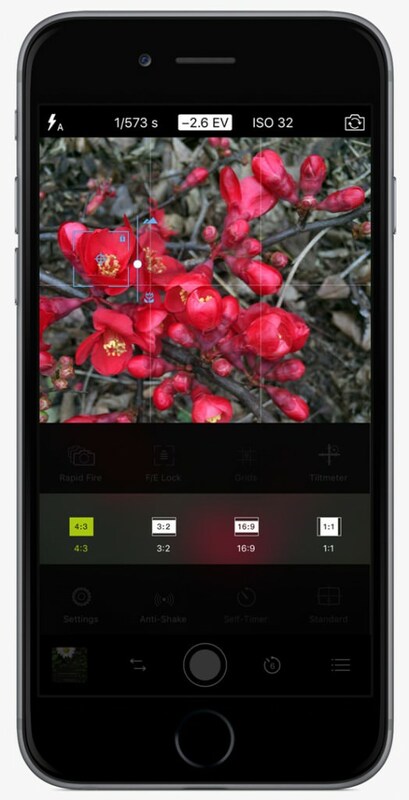 To best meet your requirements, the order of the Camera modes in the widget is the same as in the Camera Mode Selector of ProCamera. 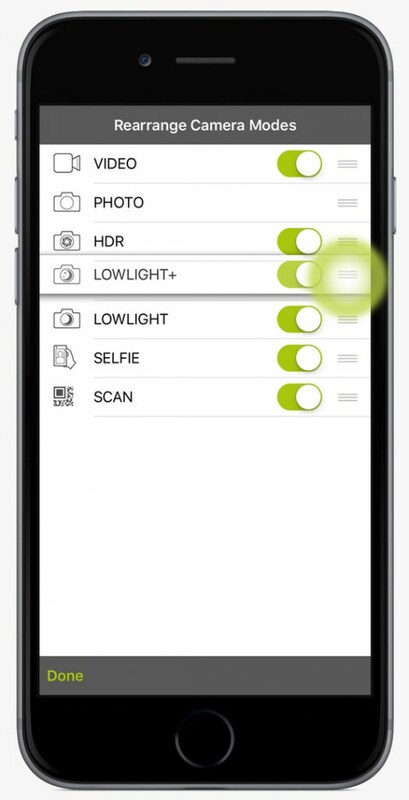 If you re-arrange the Camera Modes in the app, those changes will be applied in the Widget. For easy reference and planning, ProCamera’s Today Widget can also show you the times of sunrise and sunset, blue hour and the period of the next full moon for your current location (if you allow ProCamera to use your location). Best thing about it: You don’t need an internet connection, which most people don’t have when traveling abroad. Since some of you want to keep the widget as small as possible (e.g. only camera mode icons are displayed), we have added a settings options for that in our last update. Via Settings > Today Widget you may individually hide/show the time displays according to your preference. To help you delve deeper into the numerous big and small features of ProCamera, we just updated our user manual. Great tips and features, thanks for sharing.